As part of Budget 2018, which is also the BC NDP provincial government’s first, BC Minister of Finance Carole James announced a number of taxation changes on residential properties, which she said are meant to further address the housing crisis in BC. Statistics released today by The Canadian Real Estate Association (CREA) show national home sales fell sharply in January 2018. The British Columbia Real Estate Association (BCREA) reports that a total of 5,306 residential unit sales were recorded by the Multiple Listing Service® (MLS®) across the province in January, an increase of 18.3 per cent from the same period last year. The average MLS® residential price in BC was $721,477, up 16.2 per cent from the previous year. Total sales dollar volume was $3.83 billion, a 37.4 per cent increase from January 2017. •Our analysis indicates that the BC HOME Partnership program (HPP) contributed to an annualized increase of 0.55 per cent to the market price of an apartment and an increase of 0.57 per cent to the market price of a townhouse in Metro Vancouver over the first threequarters of 2017. • The HPP either paid or approved a total 1,395 transactions as of September 2017. This represented 1.7 per cent of total BC home sales and 0.9 per cent of the dollar volume. The trend in housing starts was 224,865 units in January 2018, compared to 226,346 units in December 2017, according to Canada Mortgage and Housing Corporation (CMHC). This trend measure is a six-month moving average of the monthly seasonally adjusted annual rates (SAAR) of housing starts. Canada Mortgage and Housing Corporation today released a new study – Examining Escalating House Prices in Large Canadian Metropolitan Centres. The analysis shows that strong economic and population growth, together with low mortgage rates, have been important drivers of house price growth in Canada. As well, it also shows that the supply response has been weaker in Toronto and Vancouver, than in other Canadian metropolitan areas. The Unfair Vancouver Vacant Homes Tax Coalition describes its purpose in the name. The group is calling on the city to do something as the Feb. 2 deadline for the empty home tax declaration approaches. Rainer Borkenhagen says the group is made of members that are mostly retired and live across the country, but still own homes in Vancouver. Borkenhagen himself lives in Gibsons, but owns a condo in Vancouver. He said he tried to rent his condo once, but it turned out it was more practical to keep it and use it whenever his family needed it. Canada Mortgage and Housing Corporation (CMHC) has released the 2018 Prospective Home Buyer Survey (#PHBS2018). This survey, the first of its kind for CMHC, explores the dynamics of home buying intentions for three groups of future homebuyers, including First-Time Buyers, Previous Owners and Current Owners, and provides a comprehensive review of overall awareness and understanding of the home buying process. Attached and apartment homes are in demand across Metro Vancouver* while detached home buyers are facing less competition today. The Real Estate Board of Greater Vancouver (REBGV) reports that residential home sales in the region totalled 1,818 in January 2018, a 19.4 per cent increase from the 1,523 sales recorded in January 2017, and a 9.8 per cent decrease compared to December 2017 when 2,016 homes sold. 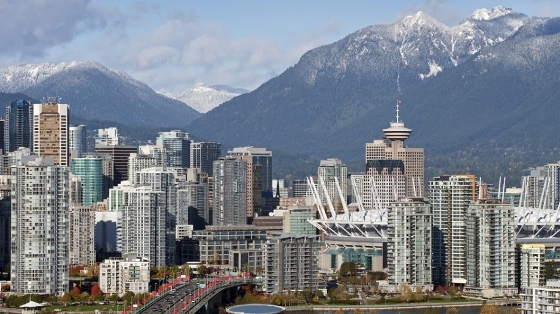 VANCOUVER — Local politicians in British Columbia are calling for an overhaul of the housing system with significant tax and regulatory changes in order to bring skyrocketing real estate and rental prices back to a level local residents can afford.